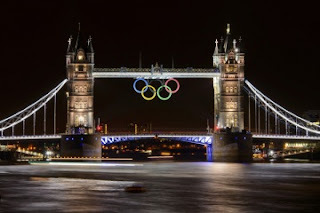 The city of London has spent years building and preparing for the 2012 Olympic Games, while fans on social media have been buzzing with excitement and anticipation. The London Eye is even being lit up in different colors based on Twitter users' sentiments throughout the games! Even though the opening ceremony doesn't commence until this evening, some athletes have already been hard at work in the competition. Mashable compiled some of the photos, tweets and status updates from the female soccer players that began competing in the tournament yesterday. This large amount of social media activity on the first day of competition is surely an indicator of how social media will continue to play an integral role in the 2012 Olympic Games. It’s been four years since the 2008 Olympic Games and social media has grown in popularity by leaps and bounds. 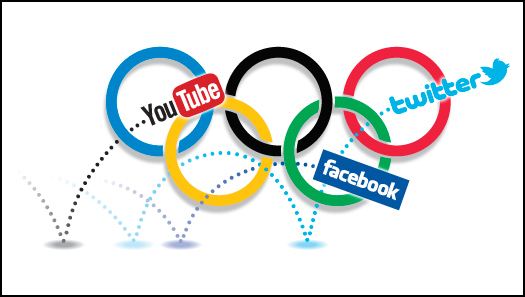 “Why Social Media Will Reshape the 2012 Olympics” takes a look at the three most popular social media platforms that users are utilizing to engage and follow the Olympics - Facebook, Twitter and YouTube. There has been an explosion of user engagement and growth on these platforms over the last four years. Due to this growth in daily usage, the International Olympic Committee (IOC) has published social media guidelines that must be followed by all athletes and coaches. Some are worried that the guidelines are too restrictive. But according to ReadWriteWeb, the IOC has every right to create and distribute a social media policy. Athletes are contractually obligated to follow the established social media guidelines. Implementing a social media policy to ensure that all participants know what is and isn't acceptable to share is a wise decision. However, with a global event of this size, each social media infraction will have to be considered on a case by case basis. The offender will most likely be asked to remove the content, but as we all know once a tweet or post is out there, it is difficult to remove it completely. Just ask Paraskevi Papachristou, the Greek triple jumper, who has already been suspended from the games for posting a racist tweet. We'll see how social media usage affects the games and athletes as the competitions get underway. In the meantime, I'm looking forward to feeling like I'm a part of the action via social media while I watch and cheer for the USA!